When do I know I need a plumber? If you are confident that you have the skill, experience and knowledge of tackling a plumbing repair, by all means do so. You will save a little money, and have the satisfaction of having completed that repair or upgrade. Fixing a running toilet, fixing or replacing a hose bib, or garden irrigation shut-off valve might be repairs you can easily make yourself. As soon as you feel overwhelmed with a repair project which just seems to be getting worse as you go along, call George Davis Plumbing at 858-366-8152 for assistance. It is a wise person who asks for help from professionals who do that work day-in and day-out. What can I do about drain backups? The number one reason why most people call a plumber is to fix drain backups. A best practice is to prevent grease clogs by pouring some hot water and vinegar down the drain on a daily basis. But if your drain is already clogged from grease, try pouring some hot vinegar down the drain and letting it set for about 20 minutes, and then follow that with some boiling water. This will often clear the grease clog from the drain. The other main clog problem is hair clogs. Usually a mesh net over the drain will catch most of the hair and prevent this problem. However if the drain is already clogged, then a professional strength drain cleaner from your local grocery store or home improvement store could fix this problem. You will need to let the drain cleaner soak for fifteen to twenty minutes to dissolve the clog. If these measures don't fix the problem, call George Davis Plumbing at 858-366-8152. We have an excellent drain clearing service, and guarantee to get your drain working again. Learn how to turn your water off. Be sure you know how to turn the water off in your residence. For dripping and running faucets, all you may have to do is reach under the sink and turn off the valve to the sink until you can get it fixed. Other leaks may require that you turn off the main water shutoff to the home. This may be on the outside of the house or at the meter. Other valves sometimes control water to parts of the house. Check your fixtures for leaks. One of the most overlooked ways to save money is to simply check all your fixtures and make sure everything is tightened and attached properly. Sometimes simply checking these things yourself will save you from having to call us. If there are any leaks or clogs that need to be fixed, make a list of all of them. When we arrive, give us the list of items which need to be attended to. How's that pressure regulator doing? You can check the water pressure from your outside hose bibs with a $20 tester.You just screw it on where your garden hose would go, turn the water on full blast and check the pressure on the dial. If your water pressure is 60-80 lbs., your water pressure is good. If your water pressure is above 80 lbs. of pressure, and you've noticed some of your fixtures and toilets are not working properly, you may have a bad pressure regulator. Your water pressure regulator is typically located where the main water pipe enters the house. If we are coming out to make repairs, we are happy to check your water pressure, and replace the regulator if necessary. Some plumbing repairs just aren't worth messing with. 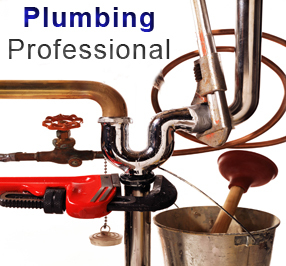 Call George Davis Plumbing at 858-366-8152. for affordable, professional plumbing services.